Tonight I took some time to to look at the monad video that Jon Udell posted. It's interesting to see how the Monad team has extended the notion of a shell to work in an object environment. While this isn't that new conceptually (you could do similar stuff in Python or Lisp), there are some very nice features, some of which fall out of the scale at which things are being implemented. The ability to have a shell pipeline terminate at Excel or some other GUI app could be really useful. This is the shell that you wish you had on the Mac that could talk to all scriptable applications. Writing pipelines that don't have to do all the text parsing that UNIX pipelines do is very attractive. It would be great to have something like this for Mono (I'm guessing that msh won't actually run on Mono). This is the second video I watched today (I watched the Intentional Programming video earlier in the day), and I also watched the WWDC keynote earlier in the week. This is probably no big deal for most people, but I watch television (or see a movie) so infrequently, that I really don't think of video streams as a way to get information. In this case, it was compounded by the fact that I had to get off the Mac because the Mac version of Windows Media player couldn't play the IP stream, so I just stayed on to watch the Monad video. One other cool thing about the Monad video was that they had the transcript right next to it, so I could read the transcript where things were going slow, and rely on the "sync transcript" feature to keep scrolling the transcript to the right place to help me keep oriented. Jorgen Thelin is leaving Cape Clear to join Microsoft. Here's an early welcome to the Pacific Northwest! "We have no appetite for it"
However, GM's Scott issued a strong warning to Microsoft, Sun and the other players in the Web services industry, that enterprises will not tolerate the standards wars of the past. "We have no appetite for it," he said. 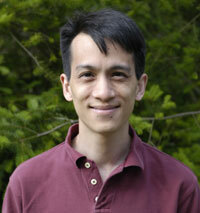 I've posted a review of Heng Ngee Mok's From Java to C#: A Developer's Guide on the SeaJUG Wiki. My conclusion after finishing this is that as languages C# and Java are basically the same, and that the differences are enough to be annoying, but not overwhelming on either side. The tooling and class library stories are a different matter entirely. On the tooling side, I've only played with Visual Studio a little bit (I'll be doing more) but right now it seems to me that Eclipse is a more powerful environment for people doing straight coding. I haven't gotten to the ASP.NET tools or the database tools in VS.NET yet, so I'll have to report back on that later. And since the IntelliJ people are always crowing about how IntelliJ's UI is far beyond Eclipse, that makes 2 IDE's for Java that are a parity or beyond VS.NET. As far as command line tools go, all I can say about that is that Ant was on Java before NAnt came along. As I read the .NET weblogs, I see references to some other interesting sounding stuff -- XSD Inference, etc. There must be some place that someone like me can go to learn about all this stuff. Maybe some of those folks that have recently swallowed the Red Pill will be able to do something to help out. I'm really interested in the whole Mono situation, and it appears that the tools story there is pretty much Emacs/vi, etc. Tools like SharpDevelop only seem to run on Windows. Maybe that will change once Gtk# or SWT# mature, or when someone decided to do a C# version of JDT in Eclipse. I know that this is VB code, but I think that you can call all of this from C# in an ASP.NET page. I'm not aware of anything like this in Java. Julie Lerman describes how the CLR handles date/time formatting, something which has bitten me in pyblosxom because the default time data type isn't ISO8601 compliant which means that it's hard for us to generate RSS 2.0 valid feeds using the builtin libraries. My own code calls out to pyXML to get the job done, but this is causing a problem for people whose ISP's havent' installed pyXML on their webservers. Brad Abrams follows up Julie's post with a code sample. Simon Fell gets into the act by describing a pair of functions that make it easy to do ETag handling for an RSS feed. SWT is starting to grow on me. There's a lot of activity on UI toolkits for C# on Linux. There's GTK#, QT# and now a C# binding to the SWT. That's a lot of activity. Everytime I hear people talk about the SWT, they say something like, "the SWT would be great if we didn't already have the AWT". I'm interested in an open-source managed environment for desktop apps on Linux. If the guys working on the SWT port also do a port/translation of JFace, then I have a UI toolkit that runs in both Java and C# on Windows and Linux. You would also have native platform widgets. I noticed that the Eclipse 2.2 draft plan includes a workbench item titled "Enable Eclipse to be used as a general purpose application framework." Last night was the monthly SeaJUG meeting. It happened to be one of the nights when Jayson Raymond, the SeaJUG chair was giving away some of the books that publishers periodically send him. His method: stick his finger somewhere in the book and announce the total number of pages, followed by a flurry of guesses as to what page his finger is in. Closest guess wins. Last night I actually won a book. Not only that, I actually wanted to win the book, which was Hang Ngee Mok's From Java to C#: A Developer's Guide . I'm not sure it's the greatest book on C#, but I just need something to get me going on my .NET exploration. And it does describe the Global Assembly Cache. After backing up all my important data and a 2 hour install process, I've managed to get Visual Studio.NET installed on my desktop machine. Some of my friends have had their machines munched by the install, so I'm grateful that I can still get work done -- and yes, I have friends who use VS.NET. Next up is to learn my way around, install the MS Web Services Enhancements (WSE), so that I can look at an implementation of WS-Security, WS-Routing, WS-Attachments, and DIME . "Strike him down, and your journey to the dark side will be complete"
My copy of VS.NET arrived today. This is an exploratory thing for me, thanks to a friend who works at Microsoft. Since I'm in meetings the rest of the day, and because I've heard horror stories about system crashing installs of VS.NET, it may be a while before I get this installed. Stay tuned for an experience report.